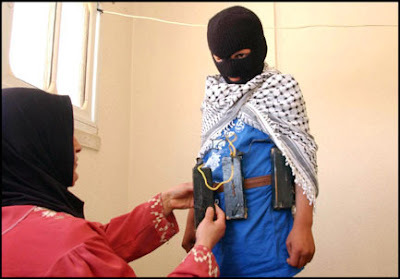 PMW: FAKESTINIAN PSEUDO MOM THINKS DEATH CULT GREAT FOR KIDS……. – The Tundra Tabloids……. PMW: Palestinian Authority TV news recently chose to feature a Palestinian mother promoting her son’s death as a positive goal. Previous Post Previous Post MORE ON THE DEMONIZATION OF PYM FORTYN THAT LED TO HIS ASSASSINATION BY A RADICAL LEFT-WINGER……. Next Post Next Post WE’VE GOT MAIL……FROM A MORON!